This Friday at the CICCIC Taunton : a last minute booking! 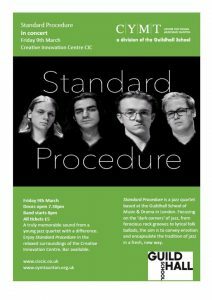 Standard Procedure is a jazz quartet based at the Guildhall School of Music & Drama in London. Focusing on the ‘dark corners’ of jazz, from ferocious rock grooves to lyrical folk ballads, the aim is to convey emotion and encapsulate the tradition of jazz in a fresh, new way. 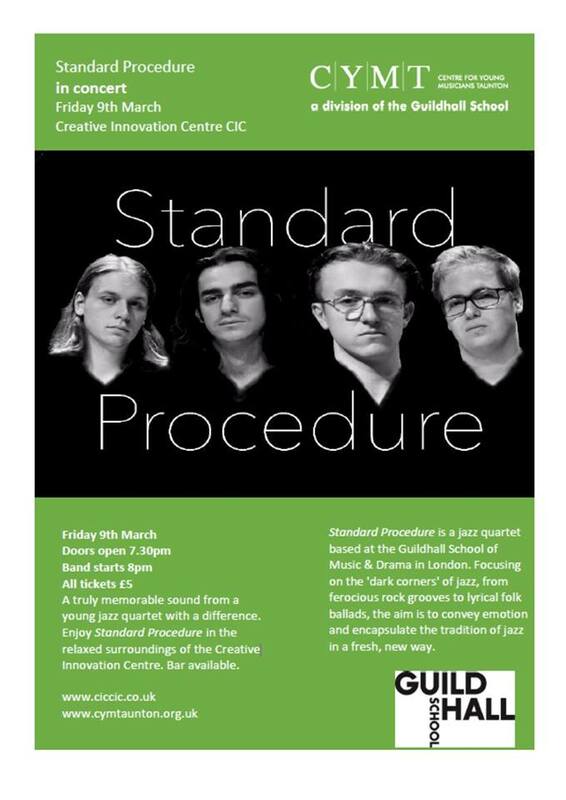 A truly memorable sound from a young jazz quartet with a difference. Enjoy Standard Procedure in the relaxed surroundings of the Creative Innovation Centre. Bar available.